'Anthropocene Extinction', 'Poaching Crisis', 'Marine Destruction'. A reading of the September 2016 'Extinction Special' edition of Geographical magazine, leaves a sense of dismay at how desperate things have got for many of the living things on our planet. There's nothing new about the message, our most well known and respected naturalists have been broadcasting it for years. David Attenborough's State Of The Planet address at the turn of the millennium made for hard viewing. As Homo sapiens relentlessly encroaches on the natural world and its inhabitants, the viewer is presented with a choice: leave behind a flourishing planet or a dying one. "The future of life on earth depends on our ability to take action. Many individuals are doing what they can, but real success can only come if there is a change to our societies and our economics and in our politics. I've been lucky in my lifetime to see some of the greatest spectacles that the natural world has to offer. Surely we have a responsibility to leave for future generations a planet that is healthy, inhabitable by all species". David Attenborough - in closing. So what is meant by the Anthropocene (or Holocene) extinction? Without putting shoe shine on it, we are currently living in the middle of a mass extinction event, which is principally down to the proliferation of modern humans. Not since the Cretaceous, 66 million years ago, has the rate of extinction been so high, some estimates have it currently running at tens of thousands of species per year! The Anthropocene epoch covers many thousands of years, but lets look at just a few examples of the iconic mammals and marsupials we have lost forever in the past 150 years: Quagga, Thylacine*, Pyrenean Ibex, Javan Tiger and the Western Black Rhino, in 2011! "If you're an animal bigger than a breadbox and not more than a day, or half day's walk from a road, your days are numbered"
Most of my personal wildlife experience has been focused upon sub-saharan Africa, and in particular East Africa. The current poaching crisis occasionally makes the television news, so its safe to say most of us are aware of the problems facing elephant and rhino. But to couch some numbers against this: In March 2016, The Guardian reported that African elephants 'are being killed faster than they are born'. Statistics from Save The Rhino indicate that, in South Africa alone, over 1000 rhino have been poached each year in 2013, 2014 & 2015. This has risen from just thirteen in 2007. However, fewer people know that since 1900 the African lion population has dropped from one million to just 20,000 by current estimates. Rather than poaching, it seems the cause is down to human encroachment. The area which wild lions are now known to cover has shrunk to just eight percent of their historical range. How could the fact that the king of beasts is in serious trouble have dropped off the media radar? The reason could be to do with our perception of time. Conservation, by definition, tries to protect what is here today. 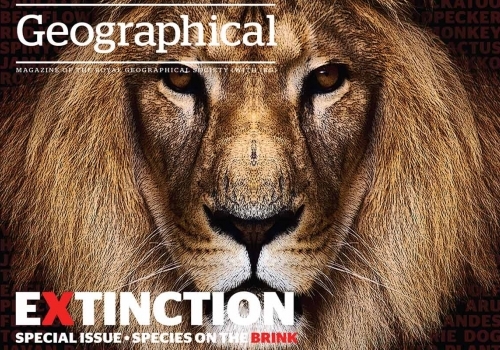 If encroachment and degradation of habitat happens over a long period of time, several decades or more than a human lifetime (in the case of African lions) then the animal population is managed to fit within its slowly depleting range. 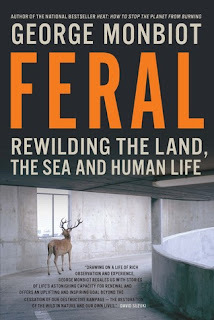 In his thought provoking and illuminating book Feral, George Monbiot describes this as 'shifting baseline syndrome' where species are being managed into extinction. The evocative and sometimes controversial remedy to baseline shift is to reinstate the extent and diversity of habitat by 're-wilding'. Several years ago, before many people had come across the term, I made this the subject for one of my discussions during my Mountain Leader Assessment. I started off with management of chalk grassland to facilitate the re-introductions of the rare Adonis blue butterfly, which had gone locally extinct in some regions. Without exception, the group nodded in approval. Next I moved onto the white tail sea eagle programme in the Western Isles of Scotland. The group listened to this with even more enthusiasm. Anecdotal proof that people readily engage with iconic species. If these animals are protected and are thriving, it is an indicator that the trophic pyramid of life supporting their existence is diverse and healthy. The reintroduction on beaver was next up. Here there were some questions and curiosity, especially from the paddlers in the group, as to their effect upon river systems. Lastly, I revealed my trump card. The wolf. I don't think anyone expected it. There was a moment of silence, before the thought of this apex predator, extinct in the UK since the 18th Century, once again roaming the wild. But also bringing much needed balance to an environment suffering from over population of deer (there are more deer alive in the UK now that at any other time and their presence is suppressing growth of young trees). The conversation ignited with interest. Although, there remain many hurdles to overcome before wolf reintroduction becomes a reality. Of course, it's much easier to sell the concept of re-wilding to outdoor leaders who are already enthusiastic about nature and wilderness. But, there are other people who's livelihood and careers come from the land. 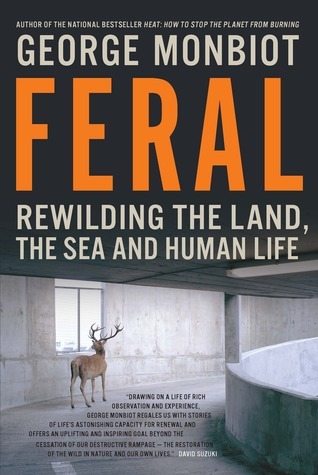 Re-wilding will attract resentment and hostility if schemes are railroaded without consideration to other land users. In August 2016, in an interview with The Sunday Times, bushcraft expert, Ray Mears' thoughts illustrate that there is is still much work to do regarding attitudes to re-wilding. "Plans to reintroduce lynx and wolves should be put on hold until people learn to live with the predators already in Scotland." Recently, (amidst the tawdry and shabby politics) a less publicised result of Brexit is the danger that we may lose much of the European legislation which aimed to protect wildlife and habitats. Also there is uncertainty regarding the continuation of scientific funding which underpins this legislation. Unless this is re-routed, rather than appropriated by government, there could be dark times ahead for conservation projects in the British Isles. But all the legislation, multitude of NGO's, charity campaigning, 'raising awareness', CITIES (Convention on International Trade in Endangered Species of Wild Fauna and Flora) blocks on trade in animal products, IUCN (International Union for Conservation of Nature) Red Lists, is obviously not working well enough. Since I was very young there has there been fundraising efforts to 'save the Amazon rainforest'? What happened to all that money? It should have the whole ecosystem protected by now with local people employed as custodians of it. If there is one thing that we need to stop doing as citizens of social media, it's raising awareness. We have more awareness of what is going in the world right now than at any point in human history thanks not only to the internet, but to the instant connectivity that social media provides. Unfortunately mere awareness of any issue actually does nothing. So instead of this just being a useless rant, I'm going to make one proposal that has the potential for wide reaching and long term good on a global scale. I'm not going to pretend that there is one magic answer to the issues facing wildlife and habitat. The answers to conservation issues are multi-faceted. But primarily it all comes down to money, the will of governments and of people to care enough to lobby their leaders to take action. Crime, corruption, poverty, access to education and healthcare are all blockers to making change happen. Indeed, why should a hard working family in the UK, who are having to rely upon food banks to feed their kids, care about what happens in Africa (or anywhere else for that matter) when they are living in a dystopian country seemingly intent on sending whole sections of society back to Dickensian times. If this seems like a hard sell, then next try convincing the subsistence communities in developing countries. Conservationists often speak of ensuring wildlife is here for our children and future generations. Talking about tomorrows generations is too abstract, too easy to think of as less immediate. Well here's the wake up, those children and teenagers are already here and they're growing up fast. They are the upcoming entrepreneurs, leaders and influencers of opinion and policy. On the expeditions I lead, I'm frequently surprised at how disengaged many young people feel about environmental issues. It's as if the last 30 years of blue chip BBC Natural History Unit films and the message they carry hasn't yet made it onto the national curriculum. One complaint I do have about wildlife programmes is that they 'raise awareness' - that phrase again - but rarely go on to suggest what difference the viewer can make (other than simply coughing up money). If our natural world is going to survive the Anthropocence, isn't it about time to inspire and engage a whole generation in a practical way? I have been a leader for schools expedition company World Challenge, for six years. During this time I have worked alongside Challegers on some superb community projects: Helping local laborers rebuild the house of a genocide widow in Rwanda has to be the most poignant. On every project I am extremely proud of the Challengers and what they have achieved with just hand tools and a lot of hard graft. When on World Challenge in Namibia, the trekking phase was in the Gondwana Concession section of Fish River Canyon. The custodian of the base hostel was also a biologist. She had worked with school groups conducting ecological surveys and suggested that school's expedition companies could make a useful contribution to this kind of data gathering. Since then, this topic has arisen regularly in conversations with fellow expedition and outdoor leaders. The ethos of schools expedition companies can include environmental awareness alongside the experiential development of the participants. There are other companies which focus on selling conservation tourism, but these tend to be the sole focus of the trip. It seems that there remains an untapped resource and opportunity available to schools expeditions to move beyond awareness and into significant action. Offering conservation projects as a part of the developmental ethos would have a far reaching positive legacy as well as a new business growth opportunity. The traditional type of expedition projects are already providing subsidy to communities, so why not take this principle and apply it to conservation and ecological assignments. Science and research is data driven. The immediate benefit would be the contribution made by participants to this at grass roots level. 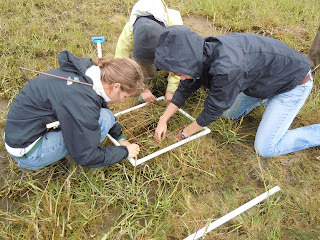 The participants would gain training and skills for example in species identification, surveying, sampling, statistics, tracking methods and technology. To ensure that the activity yields useful results, it might include a training phase in advance of the project, possibly even in the home country. Participants benefit in gaining skills, experience and real world context to their studies, making their portfolio more attractive to higher education applications and employers. 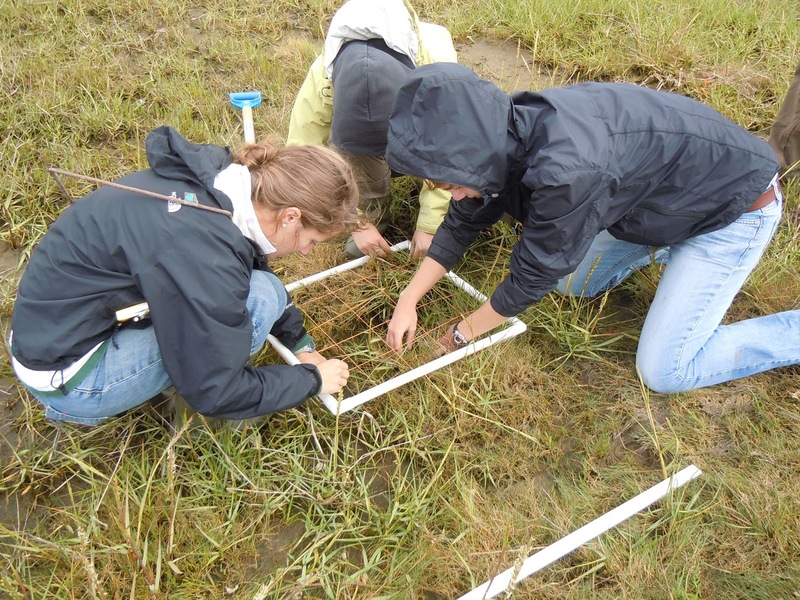 Science and conservation benefits from a subsidised workforce to achieve faster conclusions. Wildlife benefits from more action in reversing habitat destruction and the rush to extinction. Careful selection of projects would ensure participants believe and know what they are doing is important and that it will make a real difference. It's an litmus test which is already being applied to community type projects by reputable schools expedition providers. If we look at the schools expedition providers in the UK alone, if just half of the projects shift towards a conservation emphasis, there would be hundreds of expeditions each year with thousands of participants, providing the potential for enormous and far reaching positive change. It is only by winning hearts and minds of this generation that we will win the battle against the Anthropocene Extinction. In July 2016, I led my sixth expedition for World Challenge. With many previous visits on safari and trekking, each time I return to East Africa, in particular Tanzania, feels like coming home. But, the south was to be a new experience. In many ways, I found the pace of life easy going. The trekking and safari operations were low key, but no less professional than their counterparts on the Northern Circuit, Mt Meru and Kilimanjaro. While on the project phase, the team camped in a quiet and picturesque wood bordering the Udzungwe Mountains National Park and adjacent to the Msosa River. During our stay, Victor, the camp manager arranged for us to participate in a day preparing and tasting East African style food. It was a great experience and very beneficial to the team throughout the expedition, in helping us see what is possible to create with just a few fresh ingredients. We also tasted the fruit of the Baobab tree. High in antioxidants, essential minerals and vitamin C, baobab fruit is being hailed as a 'new' superfood and now being added to cereal bars and smoothies. Traditional uses include, mixing the fruit powder with water and sugar to produce a sherbet like drink. However, eaten from the husk, it tastes a little astringent and dry. On arriving in Dar Es Salaam, at the beginning of our expedition, we had to decide what we would be cooking on. Our basic choices were: meths-trangias, gas burners, charcoal burners and open fire. Naturally, every expedition leader has their own preference. I like the open fire option, but did also acquire two medium size charcoal burners in Morogoro town, just in case we were in locations where firewood was scarce. I didn't want to be cutting trees, if they were scarce around camp sites, for the purpose of cooking, as just a few commercial groups can ruin the very beauty of a place they have come to visit. Occasionally, whilst waiting for water to boil in the morning for a Africafe coffee, I wished for the instant heat of a gas burner. Prior to the Mt. Rungwe trek, I had met a World Challenge team who had not enjoyed the best of weather on the trail. However, in the following dry sunny days, the pre-cut timber (the trail led through managed cash crop forest) was drier and easy to light with a 'jungle kit' (fire steel, vaseline and cotton wool product). I had brought a parabolic solar fire starter from the UK, but at the times when it was needed (early morning and late afternoon) the sun's rays were either not strong enough or the campsite was under the forest canopy. I heard one leader had managed to locate a source of meths in Dar Es Salaam. On some expeditions, the search for this has sometimes taken us on a mythical quest, with the red herring of non-combustible cleaning meths (in similar bottles) causing much frustration. However, it appeared that combustible meths in Tanzania can be found in Pharmacies. I'm not a big fan of trangias when journeying with large groups, they fragment the team and its difficult to have all the ingredients ready at the same time. This said, there was one time in Rwanda where the team were not following their own cooking / washing up rota. So to defuse the tension, we had a tent group 'masterchef' competition. Each tent group were given a fixed amount of money, had to negotiate and agree with each other use of communal items, then cook a substantial dinner with a sample portion for the School Leader and Expedition Leader. Add washed rice, then top up with freshly boiled water to cover the mix. Score goat fillets with knife and put on hot griddle, turning frequently to ensure cooked evenly and thoroughly. Boil cubed goat meat, drain and fry. Any unused uncooked meat can be salted and hung, this will keep for a meal the next day. Put together, add chopped tomatoes, bring to boil and simmer. A East African staple. Sticky in consistency so can be shaped into a scoop and eaten from a communal stew pot. These beans look like haricot used in baked beans, and taste similar. They have to be carefully sorted to remove any gritty stones or spoiled beans. Preparation time is long, as they need to be boiled for 2 hours. A Tanzanian favourite. Simply add fried chips to an omlette mix, as one would with a Spanish omlette. Add masala spices or a little chilli sauce to zip up the flavour as desired. Cheap as chips! Often seen cooked at roadside cafes. Best eaten fresh, usually with stew, but World Challenge groups spread jam for a quick and easy snack. This essential item of kit should never be too far away from the Expedition Leader. Almost as good as freshly ground, this brew is highly regarded and provides a useful meal replacement when Challengers have resorted to cooking up the dreaded Beanfeast. Domestic roles in Tanzania are still very much divided along traditional lines in subsistence communities. What our experience of East African cooking showed, especially when putting it all into practice, was the length of time taken to prepare, cook and serve a meal. For a proper dinner, with staple, vegetables and meat, we rarely achieved a time faster than two hours from the point where we created a flame. Without the luxury of running hot water, washing up was another protracted process. Thank goodness the team had a rota, as this task was among the least popular. One challenger made a insightful comment regarding life in the village. How when one meal had barely finished, it was time to start preparing for the next. Yet, women had to fit in time to look after the little ones, do washing and work in the fields. The challengers' return to the UK was, almost without exception, accompanied by a fresh appreciation of home luxuries. Indeed, some had begun to question how much 'stuff' they actually needed. Expedition Leader, Stu Westfield, reflects upon time journeying along the Tanzania to Zambia highway. A low bank of grey cloud obscured the horizon. I had hoped to watch the sunrise as I had before, the fiery ball casting hues of magenta, pink and orange before the mid-morning heat. It didn't matter. The tide was in, covering the firm flat sand on which I had enjoyed fast interval training last time I was here. Above the watermark was soft powdery white sand. Not ideal, but it didn't matter. Because Kipepeo is a long stretch of beach that speaks to me every time I see it and it begs me to run. Every morning in the early light, Tanzanians stride out, with running legs chopping through the soft silica in an easy, effortless style. The air was charged with an infectious warmth, focusing the mind with clarity and building expectation in my limbs. But after a month on multi-phase expedition, my muscles and tendons felt tight. Trekking, community project work and safari had been interspersed with several long journeys on the Tanzam highway whilst confined to a small seat with little leg room on coaster buses. I stretched, not too deeply at first, then set off. Too fast, I slowed down, finding a more comfortable cadence. Gradually, as movement became more fluid, I dialed into the sweet zone. There was peace and stillness, no rush of wind in my ears, just the swoosh of the Indian Ocean as each ebb and flow gently broke and scooted up to the high tide mark. There is a saying in Africa: In the morning, the lion runs for its prey and every morning the gazelle must run faster to stay alive. So, no matter who you are, in Africa, when the sun comes up, you'd better be running. Two Tanzanian lads just overtook me. East Africa has been food for my soul since my first visit over 12 years ago. But, it has been a far from easy decade. The injustice of bad things happening to good people with alarming regularity has sharpened the mind somewhat. It was a major influence, among others which were rapidly stacking up at the time, in a decision to abandon the gravy train. To refuse to be a slave to a system of false hopes and empty promises. To get back to a life focused upon the enjoyment of experiences. This was my last day in-country and for the past couple I had been fending off a melancholic sadness at the prospect, as if parting from an old friend. I ran faster, like the antelope. It had been a good month, indeed it was a month filled with firsts; crossing the Great Ruaha River in a dug-out canoe, trekking in the Udzungwa Mountains, visiting Mikumi National Park and leading my group to summit Mount Rungwe. We had traveled from Dar es Salaam in the east all the way to Mbeya in the west and back again, crossing almost the whole width of Tanzania. At a roadside restaurant, we had met a Belgian couple cycle touring from Dar to Malawi. I recognised them as our coaster bus had passed them the previous day. As they refueled with fresh oranges and grilled meat from the braai, we talked bikes, gears and kit, like cyclists tend to do. They planned to go all the way to Lake Malawi before returning to Dar on the under-utlised and chronically under-funded Tazara narrow gauge line. Virtually all freight and fuel is transported by lorry along the Tanzam highway to west Tanzania. With a little foresight and investment, it wasn't a huge leap of imagination to realise how much could be carried by train. In the company of Tanzanians, I learnt from Felix our Sisi-Kwa-Sisi trekking guide, one should refer to Lake Malawi as Lake Nyassa. With treaties established under colonial rule, tensions had been bubbling away since independence. Essentially, Felix explained, Malawi has laid claim to the whole of the lake, whilst Tanzania postulates that the border runs along the centre of the lake. The thus far unexploited potential reserves of oil and gas under the lake bed is the cause of frequently raised tensions between the two countries. Locals know when things are kicking off, as vintage military jets fly overhead, rattling the sabre. Felix changed the subject of conversation. "So tell me about Brexit" he asked. My head sank in mock despair. "I've come half way around the world and still cannot escape Brexit!". He laughed, but pursued me further. "What I do know is that politicians have made an awful mess of it and that, in or out, there are a lot of people who feel let down by the whole thing"
"Its the same everywhere" he replied with sage. "There's got to be a better way" I thought. "So tell me about Brexit?" River Valley Camp, just outside Iringa, provided an oasis of calm in which to break our journey after a long day on the road. I poured myself a black coffee and sat down on the reception veranda. The veranda was a place vibrant with activity where expedition leaders gathered to oversee final safari and trekking arrangements with the effervescent, Amanda, who put in long hours to ensure each team was taken care of. When the business of the day was done, it became a place where leaders could swap stories, shoot the breeze and talk until the early hours of the morning, all with a never ending cup of Africafe. These were good times. It was also here that I got talking with an overland biker who had set out from the UK to motor around the continent. Having crossed from Algeciras bay to Morocco he had already rode down the west coast, negotiating the fee for loading his bike on the Congo River, Kinshasa ferry river crossing, down from a ludicrous $200 to $10 over a period of several hours. We shook our heads at the Democratic Republic Of Congo oxymoron. In the conversation, I forgot to note this intrepid adventurer's name, but I saw him the next morning, preparing for the off. He happily posed beside his Yamaha machine of which he was very proud. "Its not new technology, but it will cope with dodgy fuel, you can get parts almost anywhere and its never failed to start". He patted the fuel tank with paternal appreciation. I wished him the best and wandered over to the restaurant for breakfast. "Life moves pretty fast. If you don't stop and look around once in a while, you could miss it"
I clicked the shutter release and inwardly laughed as the words from Ferris Bueller's Day Off sprang to mind. The rock pools between the Inner and Outer Sinda islands were full of life. More used to shooting (with a camera!) big game, I had gained my marine safari eyes the day previously whilst ambling through the mangroves and coral shelf at the north end of Kipepeo beach. Louise, one our team School Leaders, and myself were accompanied by fellow Expedition Leader, Rachael, who's zoology expertise gave us a guided tour of this fascinating environment. We found sand dollars, spotted hermit crabs and many other species. Then the moment the tide turned and new water flowed into the pools, hundreds of spider star fish emerged from their crevices, tentacles waving as if seeking a meal. It was an event that occurred every high tide, easily missed, but once seen provided a fascinating enjoyment. My thoughts returned to the present. I finished my run with a satisfying sprint along the length of the beach. The sun was now a few more inches above the horizon. I walked back up to the beach bar, where the staff had just begun to prepare for breakfast by setting out the coffee and hot water urn. I fixed myself a cup of Africafe, it had become the drink of choice for this trip. I guess, just like many expedition leaders, I am hard-wired to the stuff. It's a kick start in the morning, an appetite suppressant when food is hard to come by and inevitably its the wide awake club social vice in the evening. At the same bar, in a moment of random serendipity I heard my new cool song...Black Coffee by Everlast. Every expedition isn't just about the things done and places seen. Its about the people you meet, the friends you make and share time with along the way. It's listening to the story of the person next to you which enriches the experience. Its the camaraderie. It's shooting the breeze around the camp fire, sipping black coffee with fellow expedition leaders and re-telling past adventures late into the night. It is a quantum of solace.